This could be the start of something big — or is that medium? MySize Inc., an Israel-based developer of smartphone measurement apps, has now launched the MySizeID app for Android devices, which helps you determine your right clothing size (It’s been available on Apple devices since September). The company will be showing off its smart measurement technology to 37,000 professionals at the National Retail Federation’s NRF2019 show in New York Jan 13-15, as merchants are still digesting early figures that indicate online sales jumped 19% during the holidays over year-ago figures. In the clothing business, size really, really matters. Data from the IHL Group research firm says 70% of the reason for returned apparel bought online is fit-related. The new presence of MySizeID on Google Play Store greatly expands the app’s universe. "The Android smartphone market accounts for almost 76% of the estimated 3.1 billion smartphones used globally,” notes Ronen Luzon, MySize CEO. “Making our technology as broadly available to consumers as possible is critical as we seek to continue to build market share within the fashion and retail technology markets." When MySizeID showcased at Fashion Week in September, 97% of those who answered a survey thought MySizeID was easy to use and 95% said they they thought it gave accurate size recommendations, according to the company. Going directly to consumers with the app rather than just waiting for brands to step up is MySize’s strategy. After all, it’s the ill-fitted consumers who are doing most of the complaining. 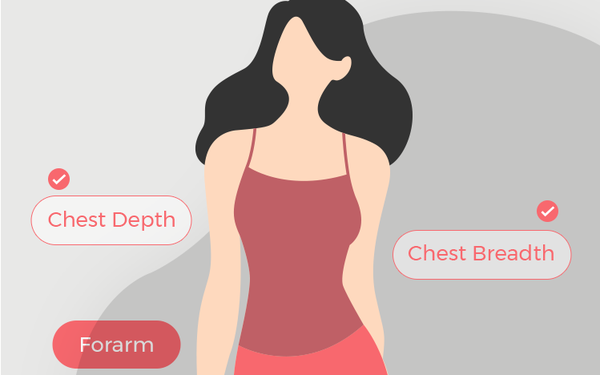 In December, MySize quietly launched Modelista, its own women’s apparel site, which will allow customers to measure themselves with the technology and get accurate recommendations about what sizes to choose for clothes displayed on the site. But it’s also opened registration for online stores that want to integrate MySizeID into their online sites, as shown in this B2B video. It claims that customers using the technology will order 20% more and return 30% less. My Size, Inc. has developed its measurement technology based on algorithms and technology with broad applications. It also operates, SizeUp, a smart tape measure for DIY lovers, which just hit 1 million downloads last month, and BoxSizeID, a solution for package and logistics couriers, which just signed with a large courier service in Israel last year.